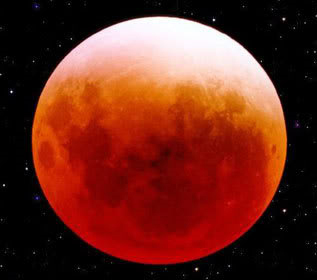 Don’t miss the rare supermoon, total lunar eclipse on Sunday, September 27, 2015. The eclipse will begin at 10:11 pm Eastern time and peak around 10:47 pm Eastern. The moon is called a supermoon, when it is in closest orbit to the earth. Not only will the moon appear larger than normal, but it will also turn red or orange depending on atmospheric conditions. September 27 also marks the beginning of the Jewish Feast called Sukkot or Feast of Tabernacles. 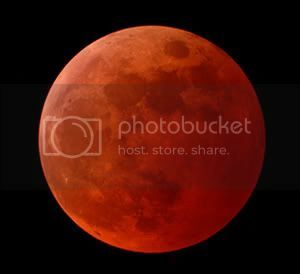 This is the 4th blood moon, called a tetrad, to occur on a Jewish Feast Day over the past two years. If you have ever studied the Jewish Feasts and history, you will know that God does things on His feast days. Did you know that both temples were destroyed on the same day of the year? The first temple, known as Solomon’s Temple, was destroyed in 586 B.C. on the 9th of Av. Herod’s temple, the second temple, was destroyed in 70 A.D. on the 9th of Av. This day of the year is called Tisha B’Av or the National Day of Mourning for the Jews. Jesus also fulfilled the Jewish Feasts when he died on Passover and rose from the grave on Feast of First Fruits. Before the great day of the Lord, God will use signs in the sky to warn people the end is near. One of these signs will be a blood moon. Some people are expecting some catastrophic event to occur tomorrow, but don’t be disappointed if the day passes like any normal day. God can give a sign in the sky without the world coming to an end. Instead of expecting doom tomorrow, take a look at the events which are going on around the world. Rather than doom happening tomorrow, I believe God is showing us that the great day of the Lord is approaching. It is time for the bride of Christ to prepare to meet the Lord. Are you ready? What about your friends and family?